LA CROSSE, WI – Grandview-Emerson Neighborhood Association (GENA) continues its efforts to revitalize Veterans Memorial Municipal Pool after over a year and a half of closure. Thanks to a successful campaign for a community-funded study by Isaac Sports Group (ISG), the GENA Memorial Pool Committee has shared ISG’s report & recommendations to 6 different groups, including GENA, the public, City Budget Planning Committee, City Finance & Personnel Committee, City Pool Committee, & City Park Board. Future meetings with the City Heritage Preservation Commission, neighborhood associations, La Crosse School District, UWL, & interested donors are also in the works for additional feedback & support. GENA is pleased with recent progress working with the City Pool Committee as well as City Parks & Recreation staff and extends its appreciation. GENA gives special thanks to the over 200 people who contributed to the study fundraiser, surpassing the original $6,000 goal, which has allowed ISG to conduct additional analysis of a renovated pool & bathhouse at the historic site. Further research is underway on new programming options & unique pool features to meet today’s modern aquatic needs that increase attendance and keep the City’s operation costs lower than the initial Burbach Aquatics proposal to restore Memorial Pool. 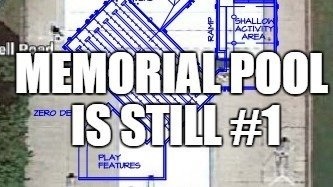 The GENA Committee has further noted that City efforts of neighborhood revitalization, preserving vital historic landmarks, supporting local businesses and their transportation vision (valuing greater access by mass transit or without a vehicle) provide additional support for ranking the Memorial site #1. Work by the GENA Committee continues and they are welcoming new members, in or outside of GENA, to join.